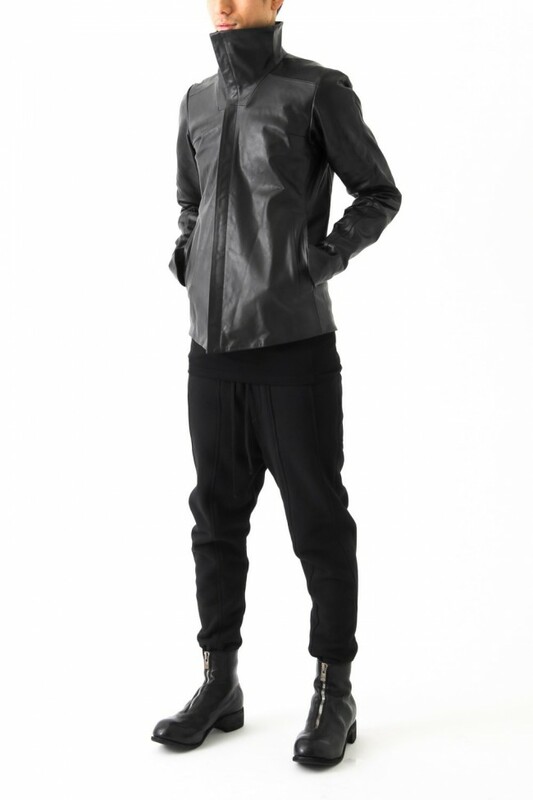 DEVOA 2017 Spring Summer Collection. 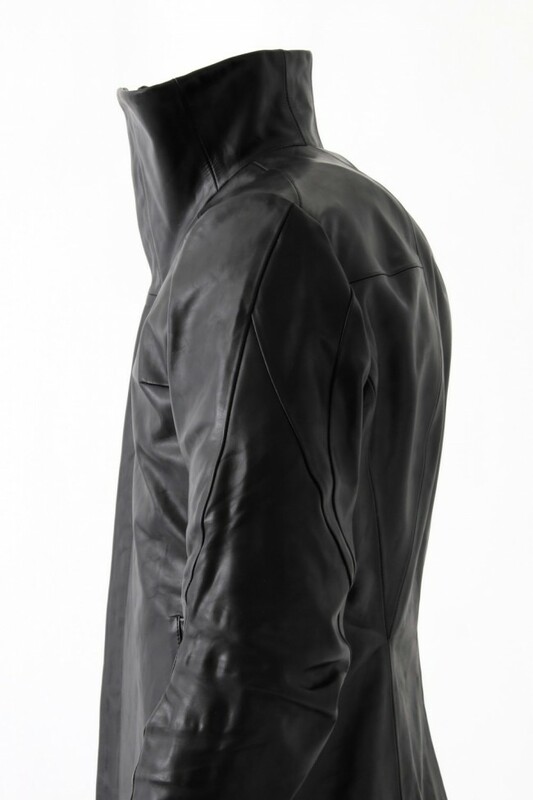 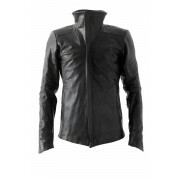 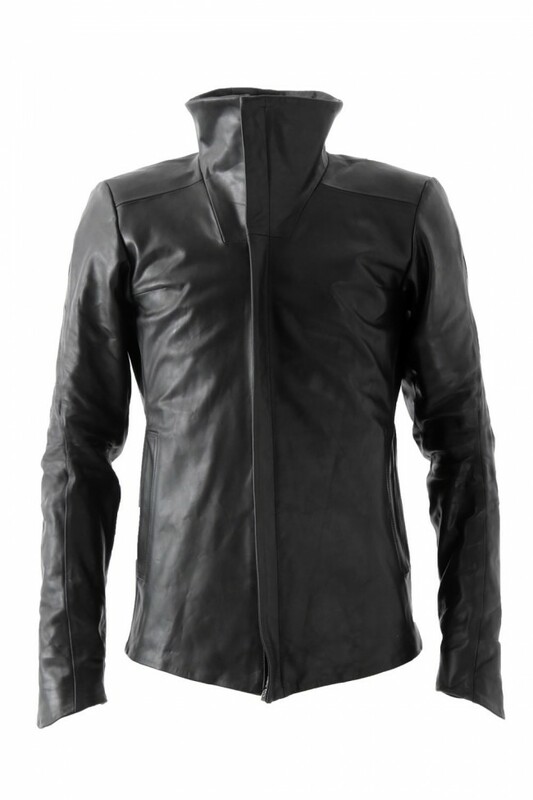 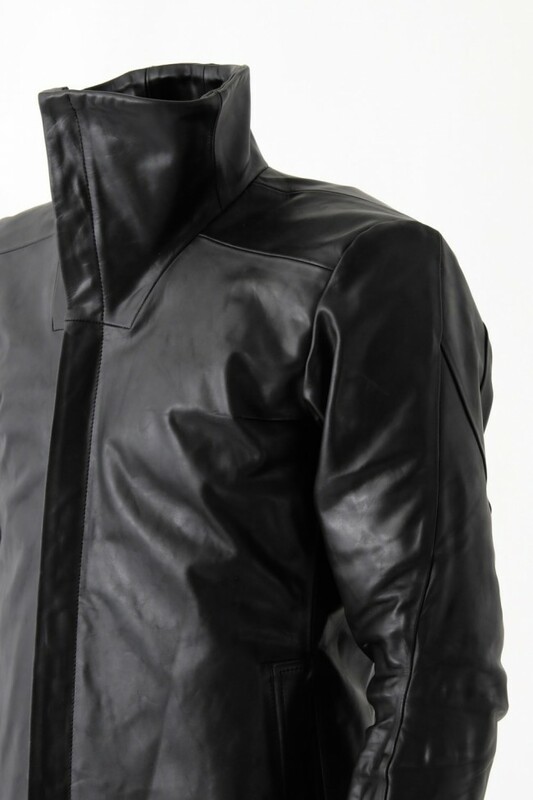 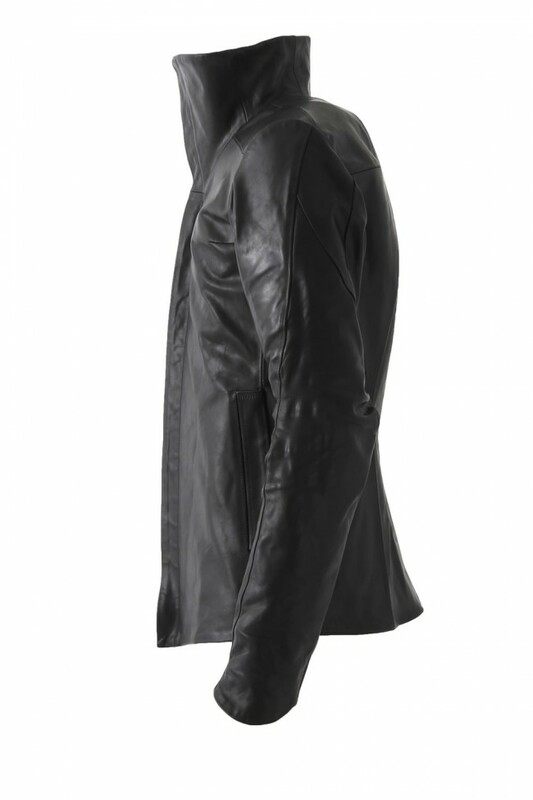 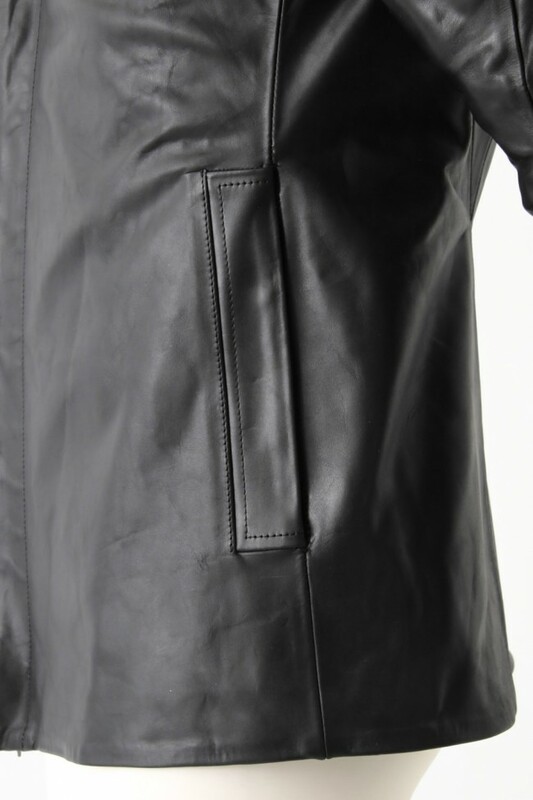 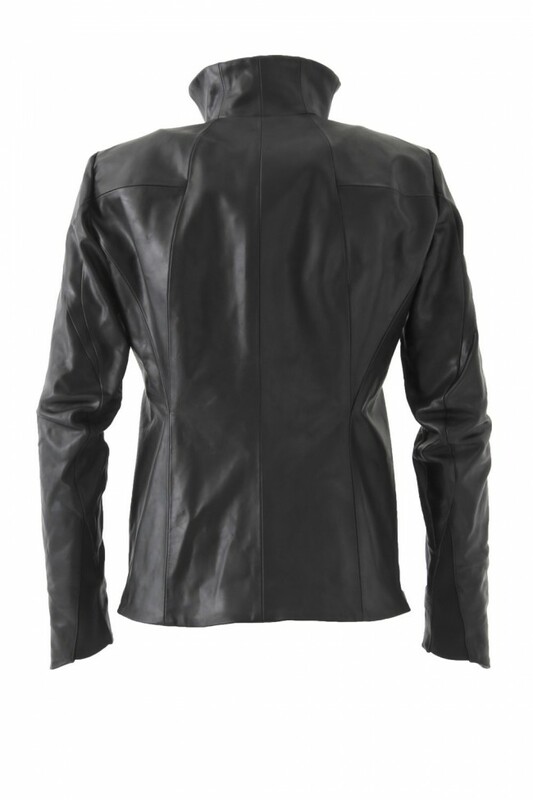 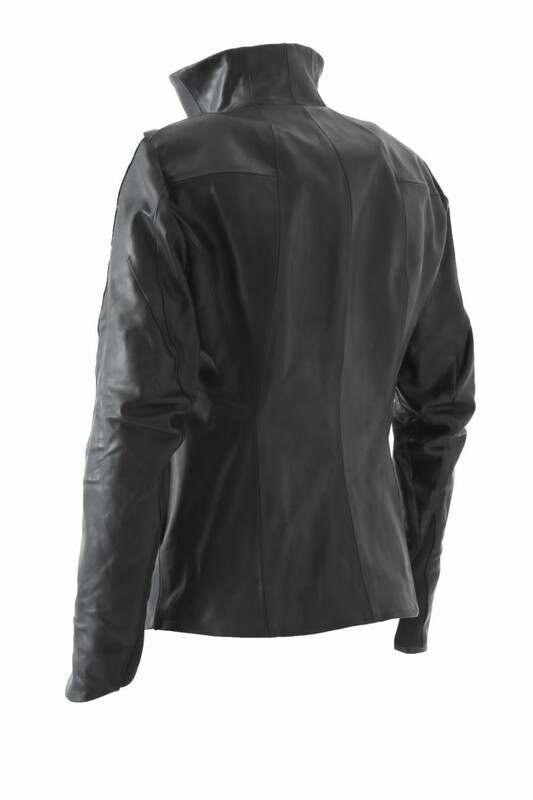 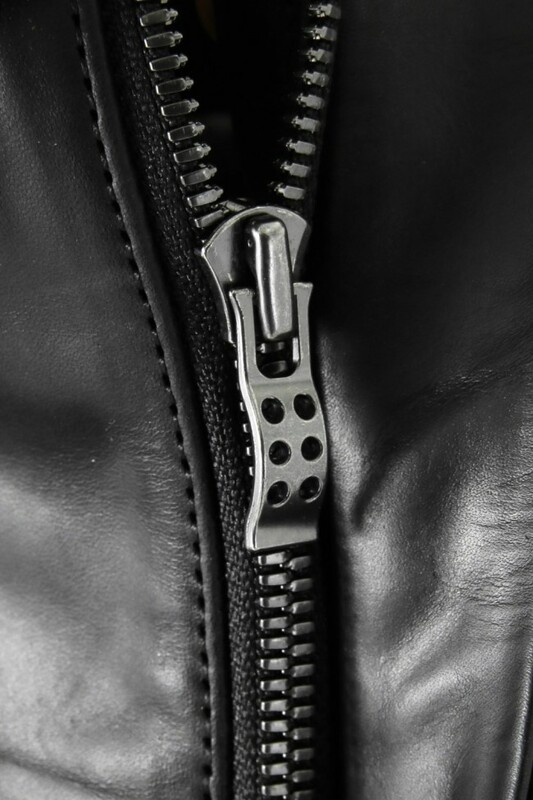 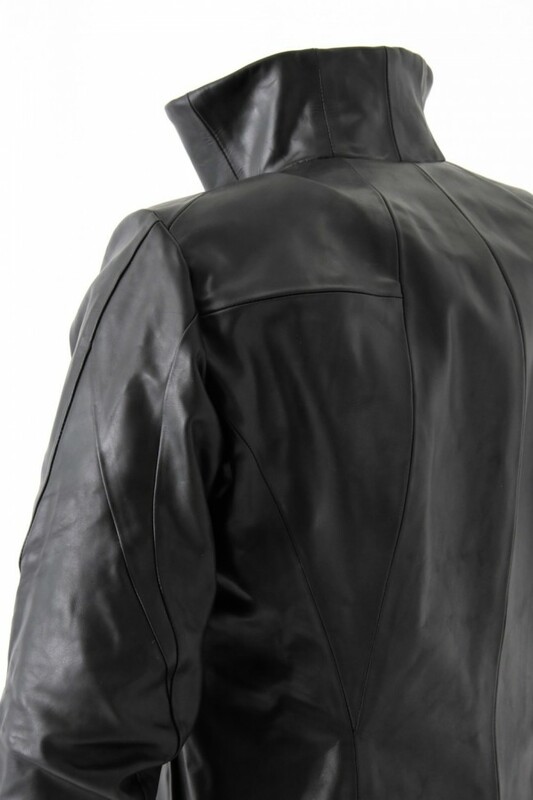 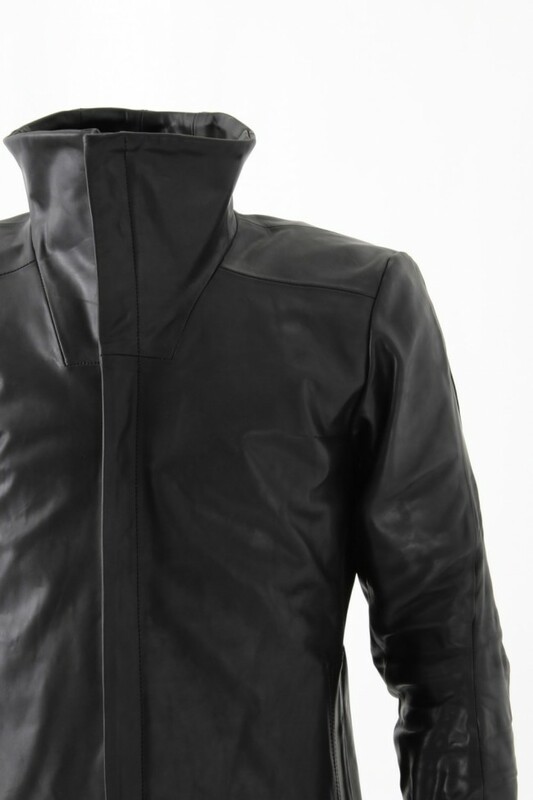 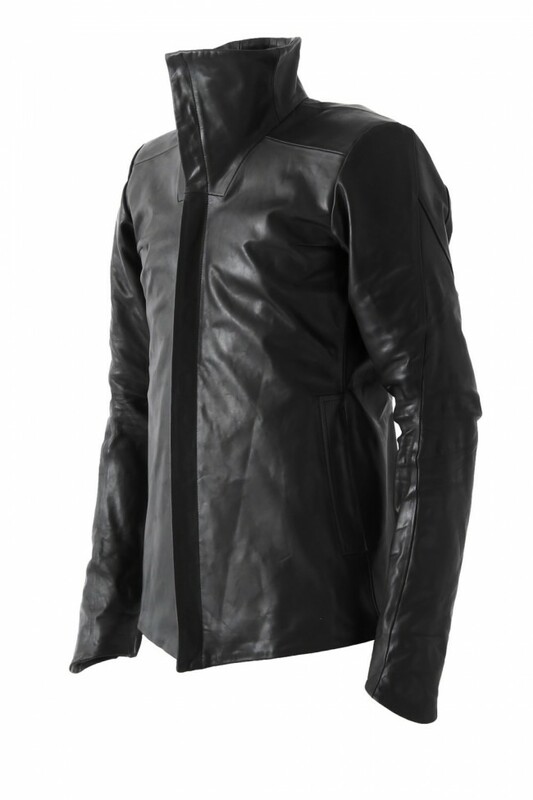 This high neck leather jacket is made with Guidi 1.1ｍｍ thickness calf leather. 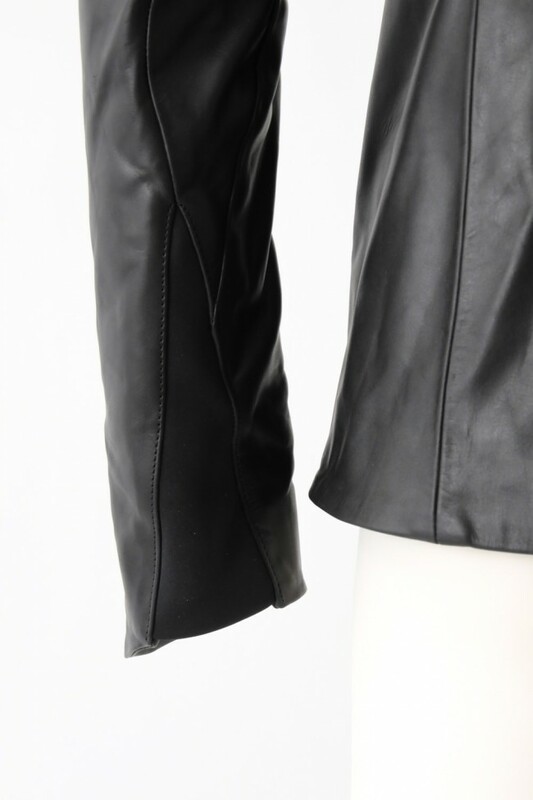 As for the AW16-17 collection products, the sleeves opening have ribs made by the company Yamamoto. 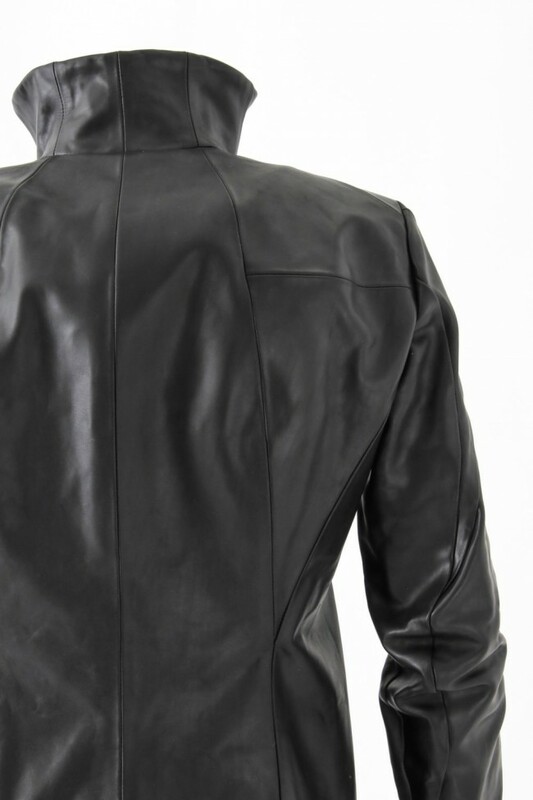 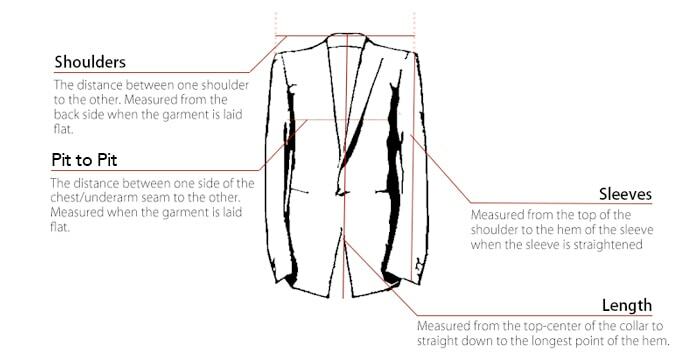 The DEVOA 2017SS pattern in the back of this jacket is thought to give a nice freedom of movement to the latissimus dorsi muscles (largest muscles in the back). 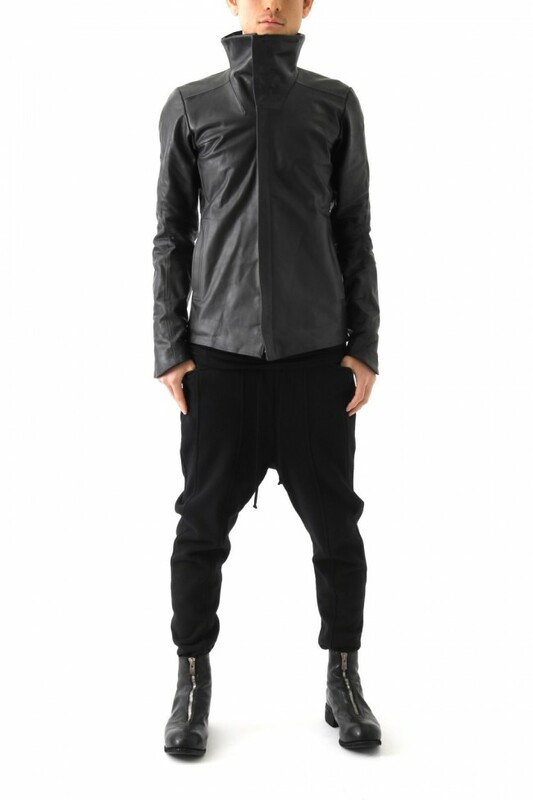 The model is : 177cm 58kg . 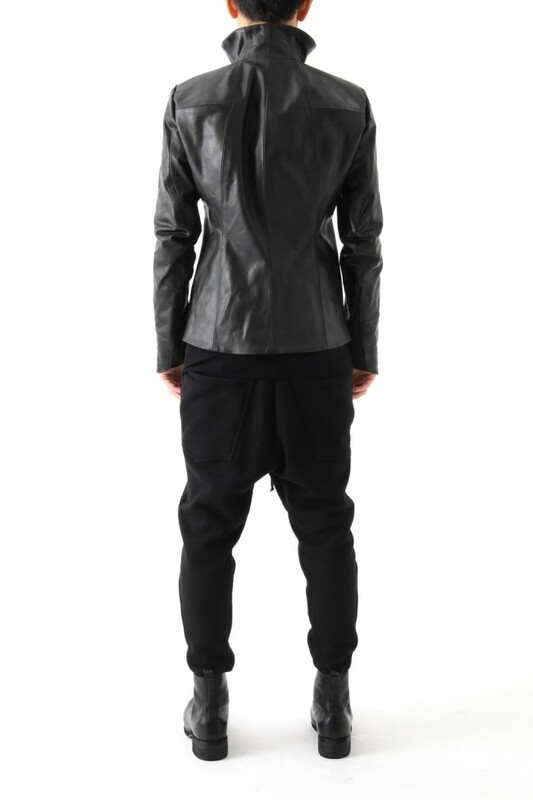 He is wearing a SIZE 1. 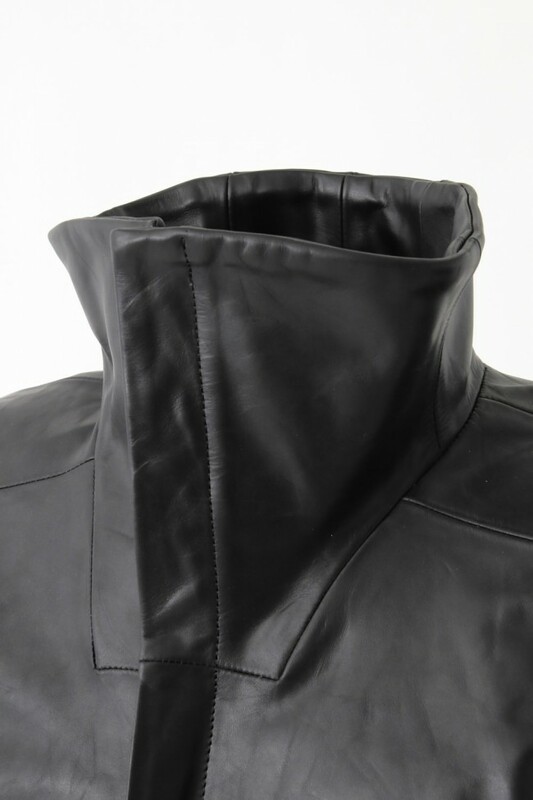 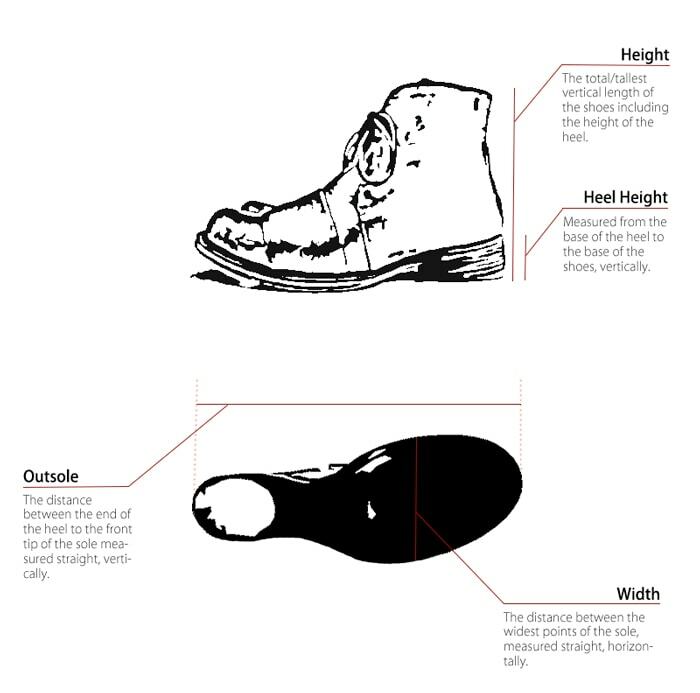 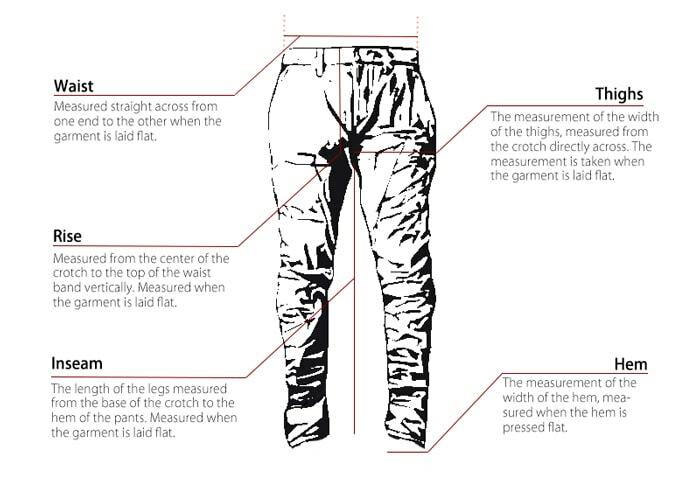 ※ Due to the anatomical pattern of the garments, the maker has requested us to not display the measurements.